Outdoor noise reduction usually involves blocking noise from highway construction, traffic or mechanical equipment (air conditioners, chillers, etc.). 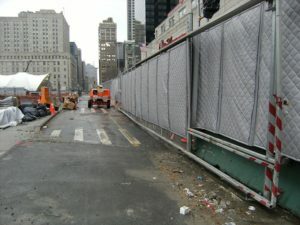 In most states, when they are doing highway construction they put up sound barrier walls to shield or block noise from reaching the residential neighborhoods nearby. Highway noise has been a problem for many communities for years. With increased residential development and urbanization, it’s only been natural that our roads generate more noise. One of the effective ways to reduce unwanted highway noise is the use of noise blocking acoustical walls and fences. 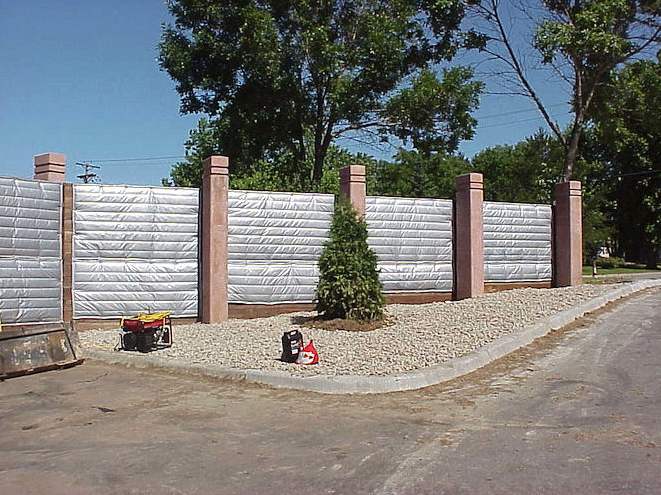 Highway noise barrier walls are used when busy interstates and highways are built near highly populated residential areas. 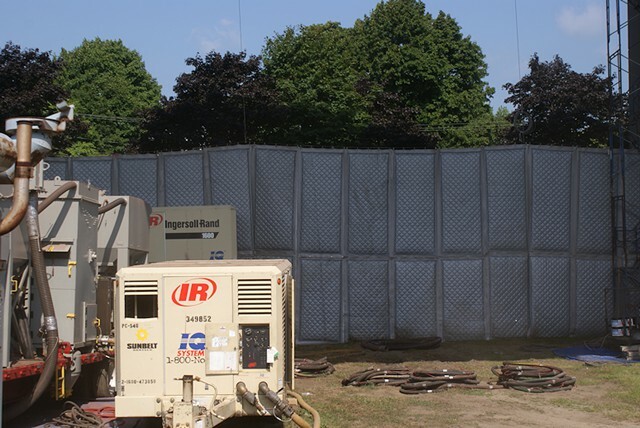 When outdoor soundproofing is needed from mechanically generated noise, acoustical enclosures and outdoor sound barriers are most often used. Noise bothering from the neighbor’s pool pump, generator, never ending construction or the noisy restaurant. Outdoor sound curtains, or sound curtain noise barrier walls, are a highly economical and effective method of reducing noise generated from noisy equipment or processes that are exposed to the elements. 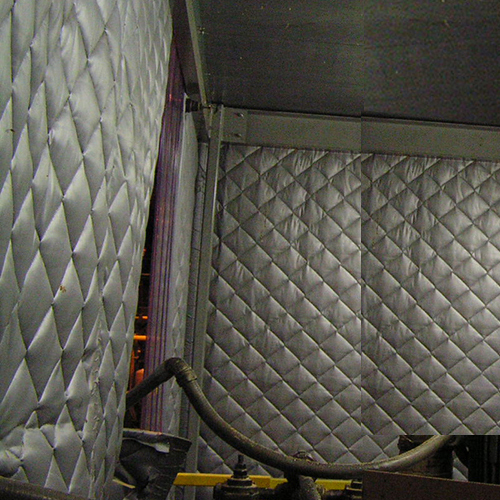 This unique composite material combines a sound absorber with a noise barrier into a flexible and versatile panel. 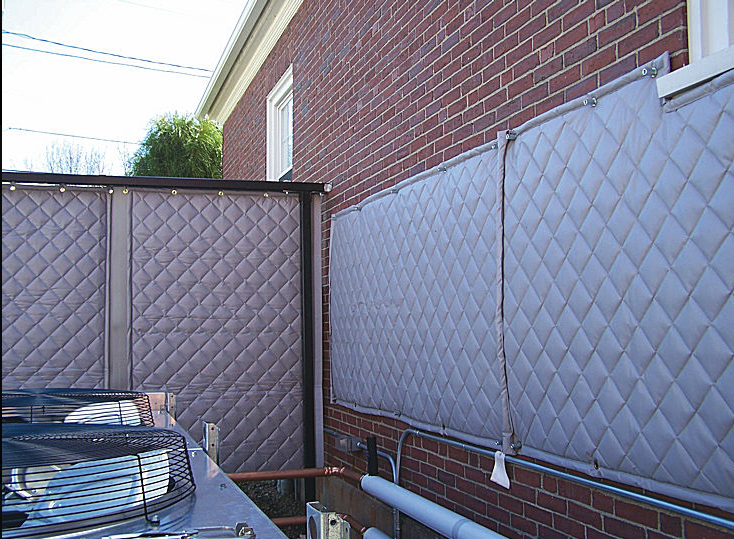 Soundproofing panels are modular and can be installed on fences, frames, or other support structure, including construction fencing, roof top barriers, by-pass pumps, gas Vacuums and many others. 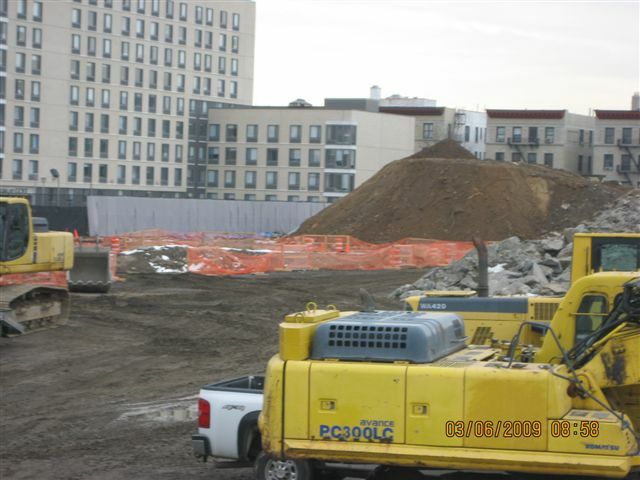 Excessive outdoor noise in industrial and manufacturing areas from blowers, engines, chillers, cooling towers, large dust collection systems, and other mechanical noise can often times become a concern for neighboring residential areas. To quiet down loud Industrial Noise Using industrial acoustical treatments such as noise barrier enclosures or soundproofing treatments can greatly reduce this risk.